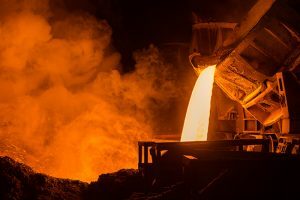 Home | Ferrous Metals | As Steel Tariffs Loom, Government Trade Study Ignored by Mainstream Press? On the overall economy – Perhaps most important, the USITC study estimated a total net GDP loss of $30.4 million — not a win, obviously, but not as massive an economic loss as many think tanks, the mainstream press and lobbyists would have us believe. On offshoring finished components – 89% of steel-consuming companies said that they did not begin sourcing finished components offshore, while 93% said they did not relocate or shift U.S. production to overseas plants or facilities. On sourcing domestically – 47% of firms reported switching some of their overseas purchases to domestic sources. Rising steel prices – the study said that half of respondents saw rising contract and spot prices after the safeguards went into place. Some 43% said that they could not pass on those costs to customers. Breaking of contracts – 29% of steel-buying companies reported that producers had broken contracts while 71% honored all contracts. Lead times and availability – 49% of respondents indicated it was more difficult to obtain the steel quantities and qualities needed, particularly in certain industries such as steel fabrication, motor vehicle, steel barrel and canning, home appliances, etc. Longer lead times were reported by 32% of respondents. For steel-buying (and aluminum/stainless-steel-buying) organizations, consider a read-through of the executive summary of the USITC 2003 analysis. It provides many clues as to the possible impacts of tariffs on steel, stainless steel and aluminum. And for our loyal MetalMiner readers, you already knew that metal prices were in a bull market – not because of Section 232, but because of the U.S. dollar, oil prices, China’s economy, commodities and industrial metals as an asset class. Yes, Section 232 has created some additional volatility, but please, consider some alternative data before believing everything you read. Fantastic analysis- thank you for investigating the whole story.